I need to stay in Vienna at some time over the summer. Here are some hotel web sites, I’ve found with the help of The Rough Guide. These first few are all in the town centre. The Konig von Ungarn is well reviewed here… and here…, which makes it seem very attractive. It is very centrally located. (See here….) (T) +431 515 84-0. We actually stayed here in 2006, its excellent, as its restaurant, the people were great and we got a two room suite, for the family which is very hard to find in capital cities. The Hotel Austria web page uses CSS to deliver English Language, doesn’t look that great, but need to check why I put it on my list, probably location, maybe history. Pension Aviano, off Kartnerstrasse, part of a chain, building looks good. Restaurant? 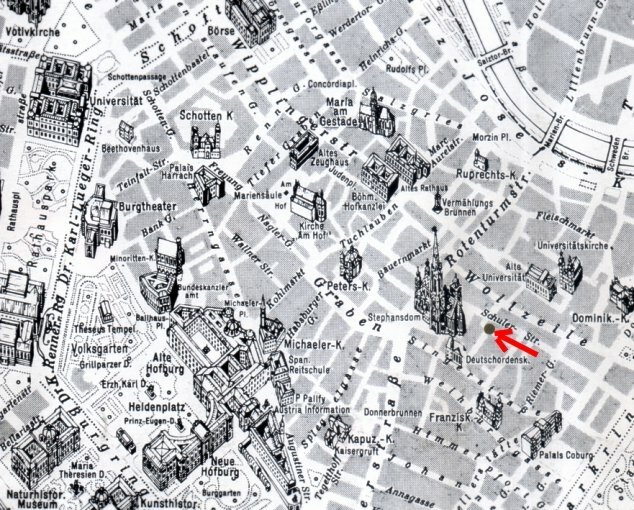 – The Hotel Mailbergerhof is also very well located but likely to be more expensive than the Konig von Ungarn. It’s described in the guide as the most baroque hotel in Vienna. I’ve been quoted under 200 Euros/room Early Summer 2006. The Hotel Sacher is one of the big three luxurious imperial hotels. Reviewed in the Guardian and the Guide. Pretty expensive, probably more than I want to pay for two rooms. The Radisson SAS Palais looks quite good since its located in what were once two palaces. Its on Ringstrasse, so we should check it out, maybe drinkies in the lounge. The Sacher Apartments for which I have a Google list but these are flats i.e. accomodation only. The Art Hotel, Vienna which used to be called the Golden Tulip (not good) and is three stars and out side the Ringstrasse. Not sure if this is part of the Art’otel chain we stayed in Berlin. Gill provided us with a Hotel Review of the Hotel Das Triest, which was not the most complementary about the Hotel or Vienna, but that’s their problem. We’re not using that hotel and are still looking forward to Vienna’s old world charms. The review mentioned the restaurant in the Modern Art Museum (MAK) at Steubenring 5 and the famous American Bar, otherwise known as the Loos Bar. Described in the review as a tiny shrine to Art Nouveau with masses…of classic cocktails. Wonder what’s on at the Opera? Need to take in some Art, either the the MAK or to check out Klimt’s legacy this site bears reading. Cocktails in the Loos Bar or the Radisson Palais on Ringstrasse. The IUSY Headquarters is in Vienna.